This is a recipe I do quite frequently at home but, weirdly, I don’t have a photo of it??! Really, really simple and very tasty. Don’t be put off by the amount of mustard in here, my children have NEVER commented about it and always ask for seconds! Melt the butter in the 30cm Family Skillet over a low heat. Add all the onions, sprinkle with salt, stir and cover. Sweat for at least 10 minutes until onions begin to caramelise. Skin the sausages and add small chunks to the onions. Then add the pasta to the pan of boiling water, cook for the time directed on the pasta packet. Occasionally stir the sausages and onions. When sausage is cooked through add a “good dollop” of each mustard (I use a large a Tbps of each) and most of the parsley. By now the pasta should be cooked – drain it. Stir the cream into the sausage mixture and add the drained pasta. Serve garnished with the remaining parsley. 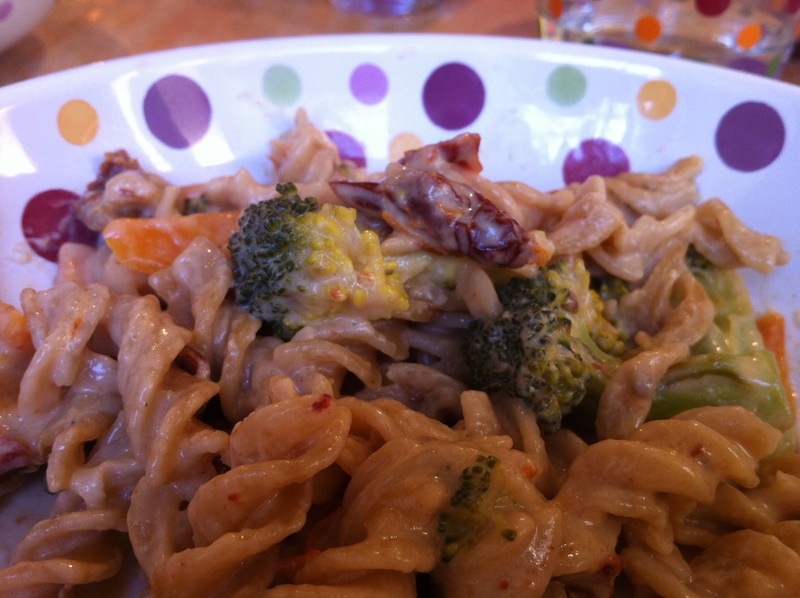 Filed under Cream, Other, Pans, Pasta, Sausages, Super Quick cooking! So, I thought I would try out a new recipe for my family and turned to the Pampered Chef for something simple but tasty. This is what I tried and everyone LOVED it! 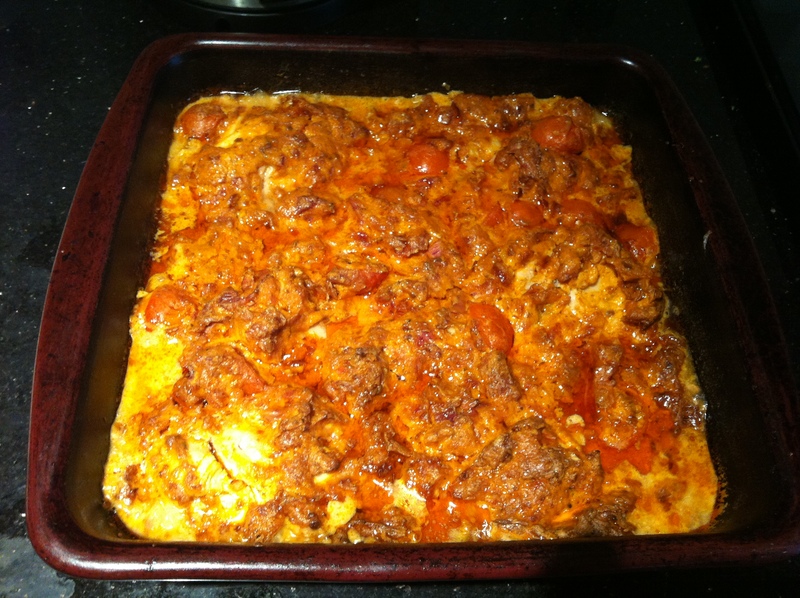 It tastes fantastic and is so easy to prepare too which means I love it twice!! Drain sun-dried tomatoes using 18-cm Strainer placed over Small Batter Bowl (you need about 170 g drained weight of tomatoes); reserve 1 tablespoon of the oil (discard remaining oil). Thinly slice garlic using Garlic Slicer. Place garlic and reserved oil in Executive 7.6-Litre Stockpot; cook over medium heat 2–3 minutes or until garlic is golden brown, stirring occasionally. Remove from heat; add stock to pan, return to heat, cover and bring to the boil. Stir in pasta; bring back to the boil, cover and simmer 8–10 minutes or until pasta is almost cooked but still firm, stirring occasionally using Master Scraper. Meanwhile, cut broccoli into small florets; place in Classic Batter Bowl. Cut carrots in half lengthways; thinly slice widthways on the diagonal using Santoku Knife. Pat sun-dried tomatoes dry with kitchen paper; slice tomatoes into thin strips. Add carrots and sun-dried tomatoes to batter bowl. Add prepared vegetables and soft cheese to Stockpot; stir over medium heat until cheese is melted and fully combined. Bring back to the boil, cover and simmer 5–6 minutes or until vegetables are just tender. Serve immediately in Simple Additions® Dots Large Round Bowl. Sprinkle with grated Parmesan cheese and shredded basil, if desired. Cook’s Tip: For an Italian flavour variation, stir 3–4 tablespoons tomato or basil pesto into the sauce just before serving. For a meat version, stir in 2–3 diced cooked chicken breasts or 60–85 g salami slices cut into quarters, at the beginning of step 3. 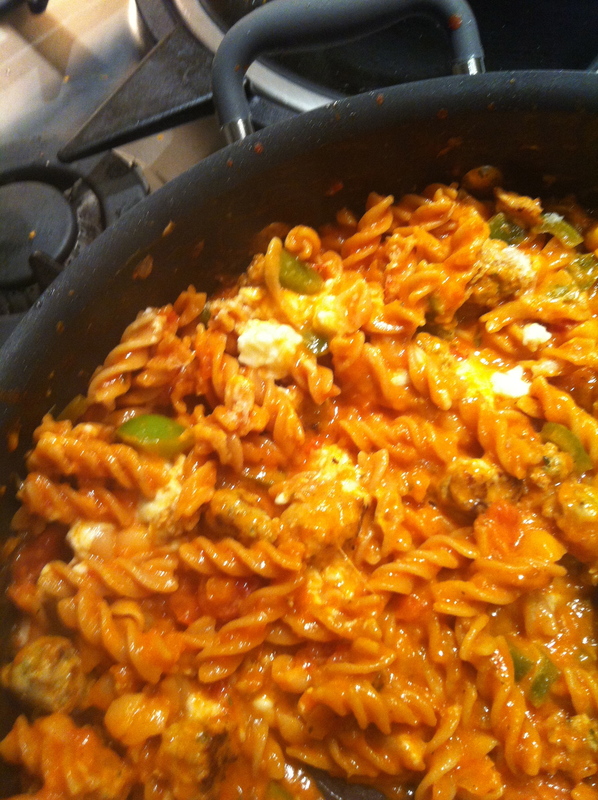 Filed under Batter Bowl, Cheese, Microplane Grater, Pans, Pasta, Super Quick cooking! The whole family loves this recipe. My only problem with it is that there is never enough for all the seconds asked for!! 1. Finely chop onion on Cutting Board using Food Chopper. Heat olive oil in Executive 24cm Skillet over medium heat 1-2 mins or until hot. Add onion and garlic pressed with Garlic Press; cook 30-45 secs or until tender but not browned. Remove Skillet from heat; stir in orzo, stock and wine using Bamboo Spatula. Return Skillet to heat; bring to the boil over medium-high heat, uncovered, stirring occasionally. 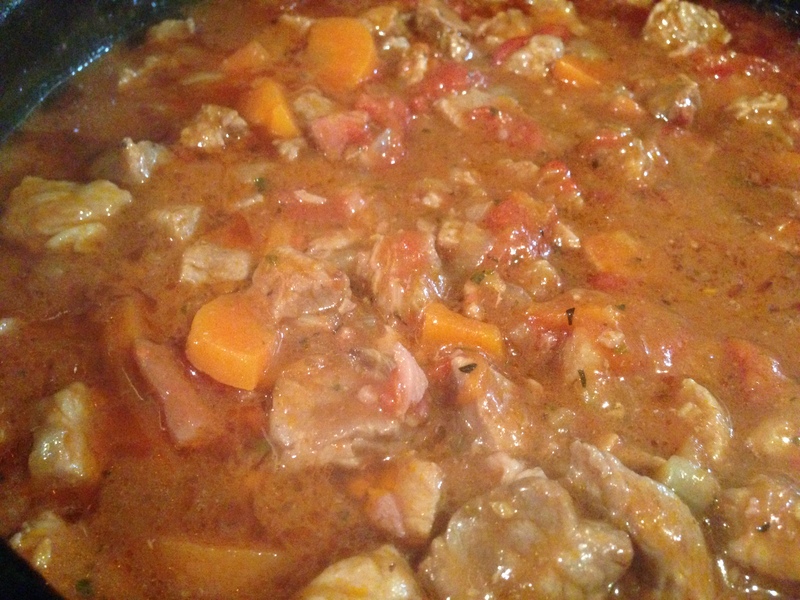 Reduce to a gentle simmer; cook, uncovered, 12-14 mins or until almost all liquid is absorbed and orzo is just tender. Remove Skillet from heat. 2. Meanwhile, fill Executive 2.8 Litre Saucepan about one-third full with water; cover and bring to the boil over medium heat. Cut sun-dried tomatoes into thin strips using Professional Shears and cut broccoli into small (bite-sized) florist using Utility Knife; set aside. Grate Parmigiano Reggiano cheese using Microplane Grater, set aside. 3. During last 5 mins of orzotto cooking time; add broccoli to pan of boiling water; cook, uncovered, about 3 minutes or until tender-crisp. Remove pan from heat, drain broccoli using small Stainless Mesh Colander. 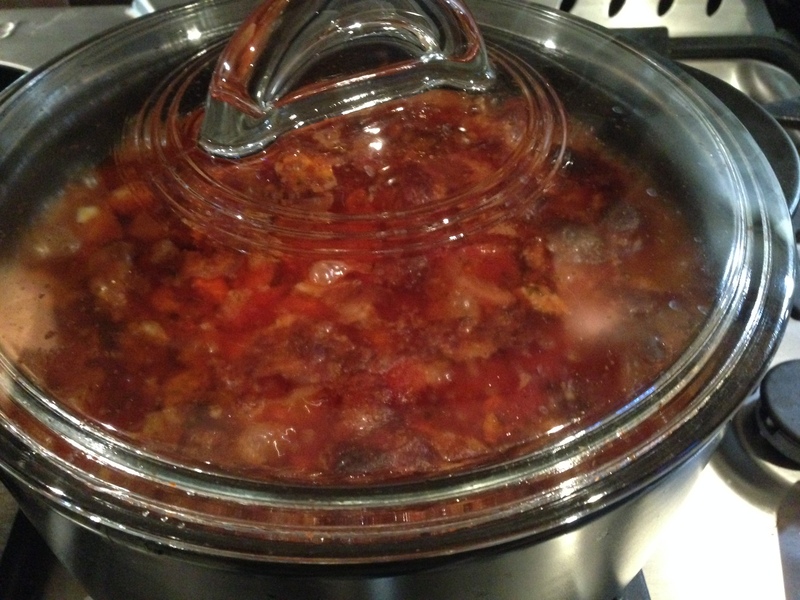 Place sun-dried tomatoes in Small Micro-Cooker; microwave, covered on HIGH 2 mins or until hot, stirring halfway through. 4. Add cheeses to cooked orzo; mix well using Bamboo Spatula. 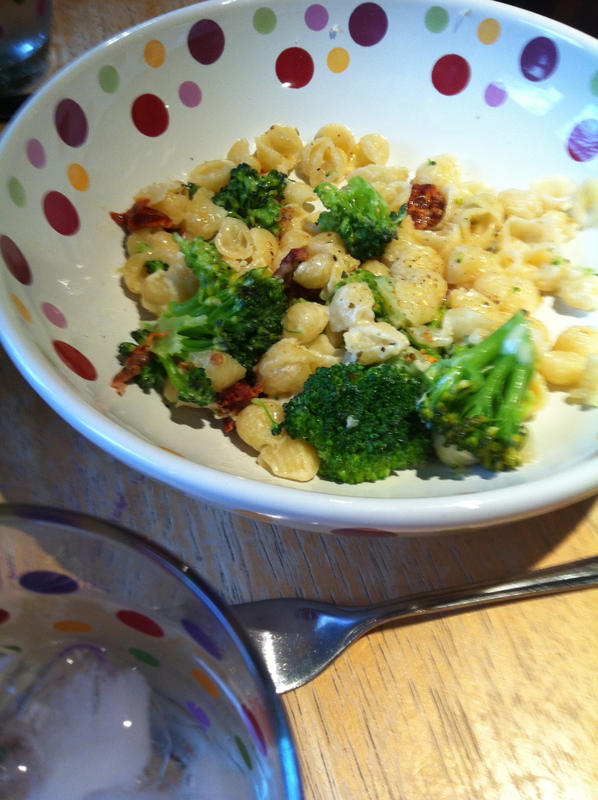 Stir in sun-dried tomatoes and broccoli. Garnish with chopped parsley, if desired; serve immediately. Preheat oven to 100˚C.Put all the ingredients in Square Baker; Deep Dish Baker or Deep Covered Baker.Mix Well. It will curdle as it cooks but don’t worry! Serve with crusty bread & pasta or rice. This recipe is a new Pampered Chef one and simply HAS to be tried! It is so simple and very tasty. It even tastes fantastic the next day in a lunchbox! I have made this with both 1/4 tsp chillies and another time with 1/8 tsp. For me, the 1/4 tsp was just warm and was enough for the kids to notice it but not be reaching for the water or complaining/ crying that it was too hot!! With 1/8tsp it really is just a background warmth, though makes the lunchbox option less strong. Finely chop onion on Cutting Board using Food Chopper. Dice green pepper using Chef’s Knife. Remove casings from sausages using Professional Shears; cut sausages in half lengthways, then cut widthways into 1-cm nuggets. Heat sunflower oil in Executive 30-cm Skillet over medium heat 1–2 minutes or until hot. Add sausage nuggets; cook 6–8 minutes or until golden brown, stirring occasionally with Bamboo Spoon. Add onion and green pepper to Skillet; cook 2–3 minutes or until vegetables are tender. Add garlic pressed with Garlic Press and crushed chillies; cook and stir 10–20 seconds or until fragrant. Stir in pasta, water and pasta sauce. Bring to the boil over medium-high heat, stirring occasionally. Reduce heat to a simmer; cover and cook 12–14 minutes or until pasta is tender, stirring occasionally. Meanwhile, grate Parmigiano Reggiano cheese using Microplane® Adjustable Fine Grater; set aside. Remove Skillet from heat. Stir in soft cheese until well mixed. Sprinkle Parmigiano Reggiano cheese over top, followed by grated mozzarella. Cover; let stand 2–3 minutes or until cheeses are melted. Serve on warmed plates, garnished with parsley, if desired. Cook’s Tip: Italian- or Sicilian-style sausages are flavoured with fennel, garlic and herbs. If you cannot find them, use any good quality, spicy fresh pork sausages instead. Two cans (200 g each) tuna, drained and flaked, can be substituted for the sausages. In step 1, prepare onion and green pepper; heat oil as directed (omit sausages). Continue as recipe directs in step 2, cooking pasta for 9 minutes, then stir flaked tuna into Skillet; cook an additional 3–5 minutes or until pasta is tender. Continue as recipe directs in step 3.